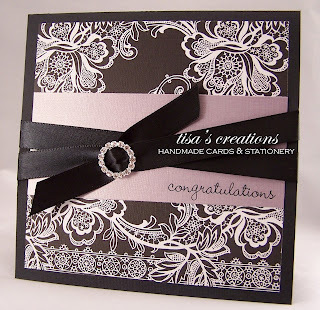 I'm a couple of days late posting my projects...I got caught up yesterday and now able to post them. What can I say, life is getting in the way of my project making...but a promise is a promise. So with that said, here is project #8. 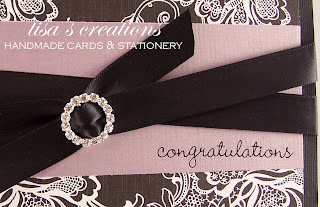 I love this card...the rhinestone buckle and black satin ribbon really make this card great...enjoy!